Rentals - Marcon Business Systems | "The valley's #1 choice for digital office equipment." The Rio Grande Valley's #1 choice for digitial equipment. Rent a copier today. No leases. No contracts. No credit checks. We understand the effects with business in today's economy. That's why here at Marcon, we offer a full range of copier machines and solutions that fit your business to its exact need. We understand that you, the customer, have certain budgets and want the best deal that won't hurt the pocket book. So, we bascially offer you a deal that's unbeatable and you won't be able to find with any other copier company, guaranteed! All you pay is one monthly fee for the copier, all parts, labor, and service included. No matter where your location in the Rio Grande Valley is, no matter how big or small your business is, we will provide our honerable service for your business and copier rental you choose. We believe in helping your business grow, so we can grow with you. With our unbeatable prices starting at only $29.95 + tax, we offer a full line of digital multifunctional copier equipment. Our copiers include features such as copying, printing, scanning, faxing, and document filing, all allowing you and your business to create a productive suite with our business machines. Our IT Support staff sets up all rentals FREE for the 1st installation, with all drivers, software, and all capabilities to integrate your computers and software with our copiers. Authorized by SHARP ELECTRONICS to service and sale. Not only do our rentals include low month to month prices, but with it, you'll receieve our expert service from our SHARP authorized service technicians. With a guaranteed 4 hour response time, our techs are 100% ready to service your equipment to your exact needs. No matter your location or business, we're always out on the roads rain or shine to your business at all times. We'll never leave your copier broken down. Our company is also a certified SHARP channel reseller for multifunctional copier machines from up to 75 ppm. From the fastest to the smallest equipment, our sales representatives will sit with you to meet your budget and give you all the features your business needs. We're not like other dealers who sale you what they "think" will work for you, no. We sit and figure out exactly how and what you need for your business to function. 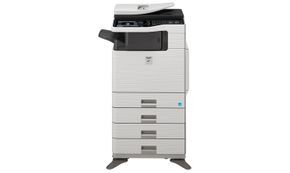 Get started and RENT your copier TODAY. 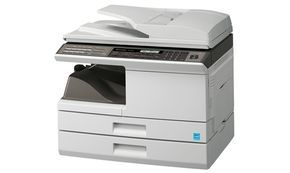 If your business is small, local, and you want the best deal with a limited budget, we offer a full range of mono copiers with basic features such as copying and copying, along with advanced network scanning and faxing. We're here to grow with your business. If you manage a corporate, executive, or large capacity range of productivity when it comes to documents, we understand exactly what you need. 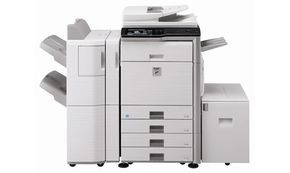 Each copier comes standard with advanced features such as copying, printing, scanning, and faxing. We'll help you save on a deal today. We offer a full range of color copiers along with mono capabilites all incorporated with full line features for copying, printing, scanning, and faxing. Small or large business, we'll always make sure we meet what your business needs in bright full beautiful color. ©2008-2017 Marcon Business Systems, Inc. All Rights Reserved.